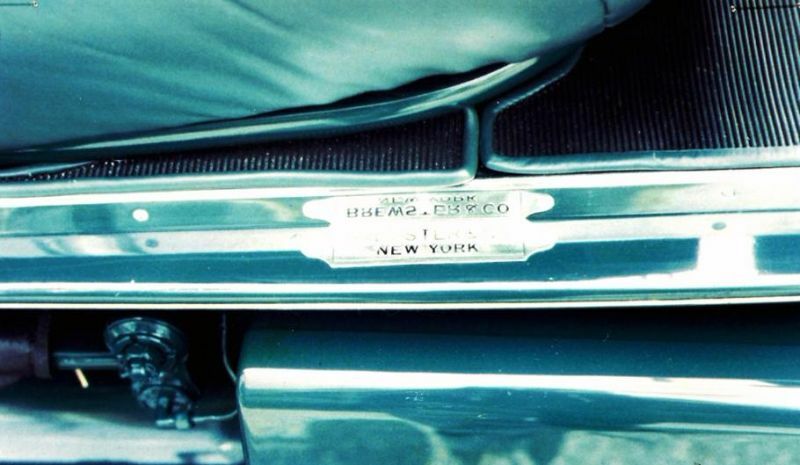 Can you imagine even having the same car for 78 years? After World War I, Rolls-Royce, the British luxury car maker, decided to set up a manufacturing center in the United States. This was in response to the high demand for Rolls-Royce cars in this country. Due to the highly skilled workforce in Springfield, Massachusetts, the Company chose this region as the location for the plant. Over the course of the decade of the 1920s more than 3,000 luxury automobiles were produced in the Springfield factory. The late M. Allen Swift of West Hartford, Connecticut, was known for his dedication to the family gold leaf business, M. Swift & Sons. Born in 1903 and growing up during the budding automobile era, he had a natural interest in cars. At the age of twenty-four he obtained his first automobile, a 1917 Franklin. His second car was a Marmon. He next acquired the automobile which made him famous among Rolls-Royce collectors, the 1928 Phantom I, S273 FP which he owned for 78 years. Mr. Allen Swift of Springfield, MA, received this 1928 Rolls-Royce Picadilly P1 Roadster from his father, brand new, as a graduation gift in 1928. 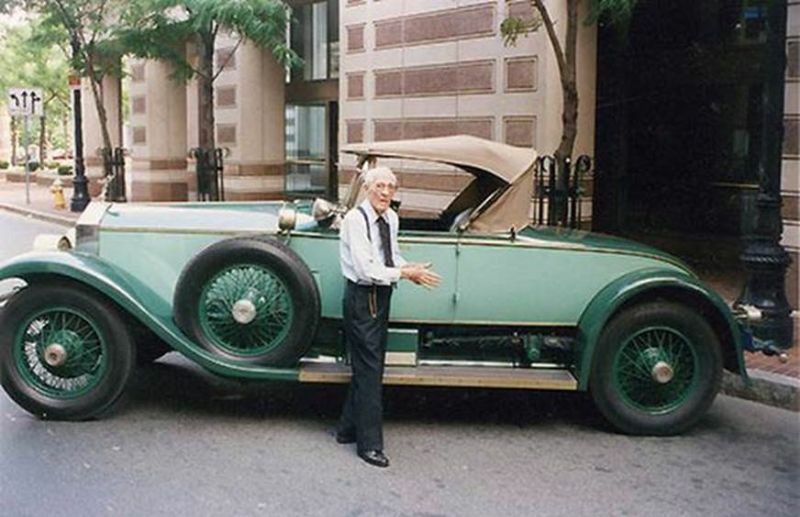 M. Allen Swift stands alongside his treasured Rolls-Royce. After he selected the car he chose a Piccadilly body made by Brewster & Co. Coachworks, NY a well-known chassis maker of the day. He chose two-toned green, and he had his initials placed on the doors. After he purchased the car, Swift visited the Springfield plant several times for service, adding that they were always very helpful. He also did some of his own maintenance, changing the oil, and once taking the engine apart. Reportedly the vehicle never broke down. Mr. Swift used the car for his daily commute until 1958. He also made many long- distance trips. He estimated that by 2003 the car had 172,000 miles on the road. 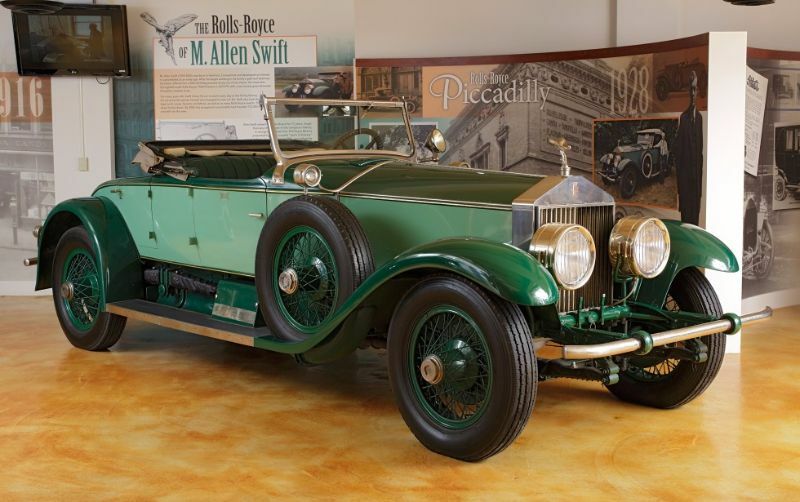 The M. Allen Swift 1928 Rolls-Royce Phantom I displays at the Springfield Museums. 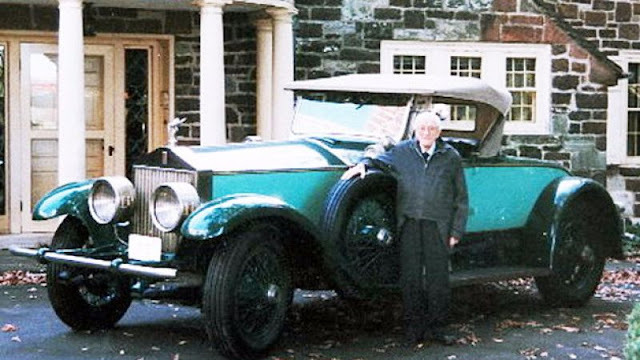 M. Allen Swift owned his 1928 Rolls-Royce longer than any other Rolls owner. In recognition of this, in 1994 Rolls-Royce Motors presented him with a crystal Spirit of Ecstasy. Just two months before his death in October 2005, he gifted funds to the Springfield Museums toward the purchase of a building to house a new museum of innovation. This museum, now known as the Wood Museum of Springfield History, is a 40,000-square-foot space presenting exhibits that interpret Springfield history. A centerpiece is its gallery on early transportation. It is here where the Springfield Rolls-Royce gifted by M. Allen Swift is proudly displayed.